Bagpipes at a funeral? Sure. A 21-gun salute? If they’ve earned it, why not? Propping-up the deceased and surrounded them with beloved inanimate objects from their now-over life? Yes! Yes! Yes! Meet Miriam Marie “Mae-Mae” Burbank, aged 53. According to New Orleans’ WGNO, Mae-Mae had the funeral your fun aunt only dreamed of. Surrounded by beer, orchids, Menthol cigarettes, crossword puzzles, and mini-New Orleans Saints football helmets, Mae-Mae was posed and on-display is what appeared to be a roped-off media room. WGNO’s tagline is “God Bless Louisiana” by the way. 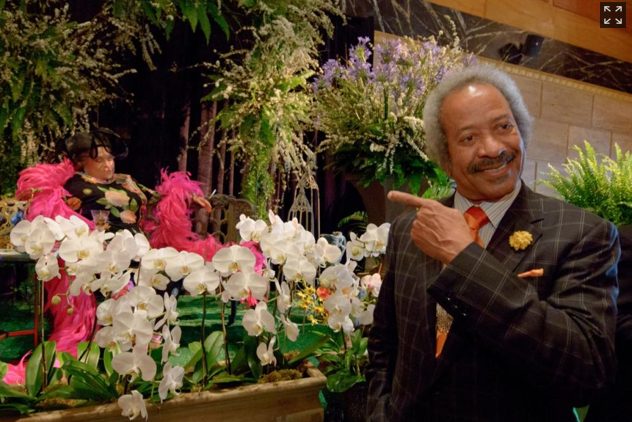 Photo found on NYDaily News, taken by Matthew Hinton/The Advocate, of musician Allen Toussaint paying his respects. 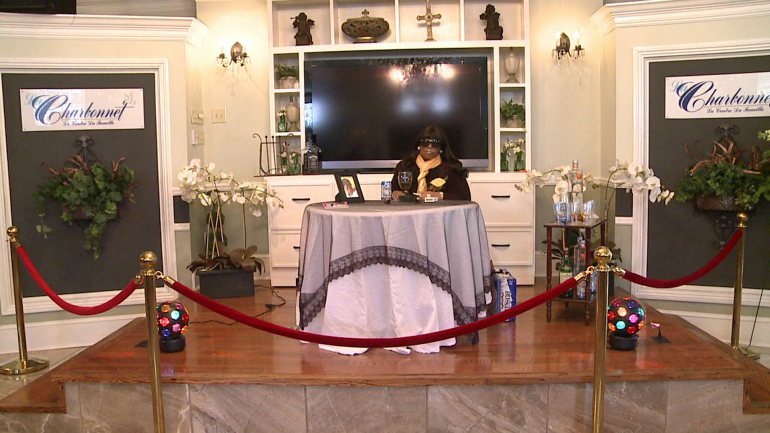 TLC’s reality show Best Funeral Ever exclusively covers fabulous funerals like Mae-Mae’s and Mickey’s, but someone these Southern divas’ doing it themselves, without a cheesy reality show, makes us love them even more. RIP Mae-Mae and Mickey.